Every year comes with its defining moments and the things that make it memorable. Year 2018 was not different. It was the year of the unpredictable, high or dashed hopes. For many Nigerians, it was a mixture of the good, bad, and the ugly; leaving behind tales of sweet or sour memories. 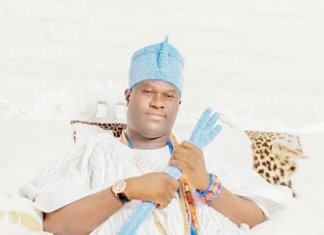 Polity-wise, 2018 represented a year of striking happenings; from the dismissal of the ‘almighty’ Lawal Daura by the then Acting President Yemi Osinbajo for invading the National Assembly with operatives of the Department of Secret Service; to accusations and counter accusations by senators sympathetic to either Senate President Bukola Saraki, or President Muhammadu Buhari; to the incessant herdsmen/farmers clash that saw hundreds of Nigerians lose their lives; up to the proposed establishment of Nigeria Airways and the subsequent suspension of the project by the federal government; and then the political intrigue that saw the All Progressive Congress (APC) dump Governor Ambode of Lagos State to settle for Sanwo Olu as its gubernatorial candidate for the state. It was indeed a year of many colours. In all of these happenings, the health sector was not left out. The industry experienced its fair share of important happenings including world ratings on health indices, among others. The health sector is one area where there were major happenings which impacted the lives of the citizens either positively or negatively. It started with high hopes following government’s promise to address primary healthcare issues head on. But the thousands of deaths from preventable disease outbreaks remains the downside for many. In a sector prone to discussions on what has gone wrong and what will never work, there was a renewed hope earlier in the year when the federal government dusted from its archive the National Health Act, which it had dumped in 2014 immediately after passing it into law. It then said it was going to implement it this year. The Minister of Health, Prof. Isaac Adewole, had said President Muhammadu Buhari had given his assurance that implementation would commence this year, and that Nigerians would experience better primary healthcare service. But as typical of our governments, the implementation they talked about is still in a virtual phase as the year winds down. 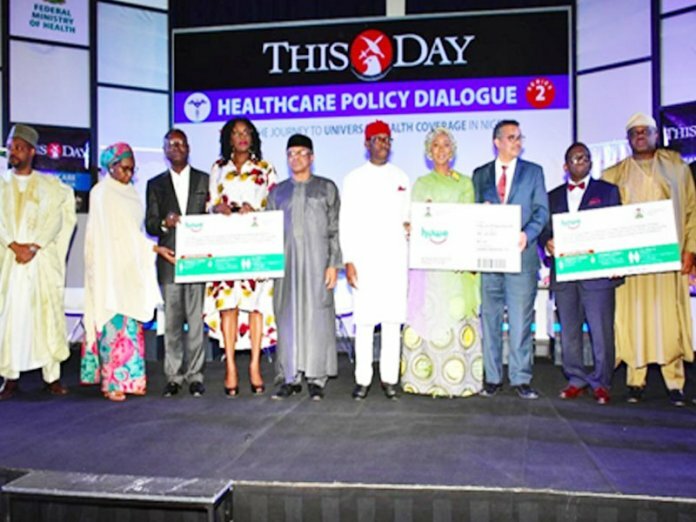 With the government’s willingness to implement the National Health Act, it moved into action during the second THISDAY Healthcare Policy Dialogue to actually launch the logo of the Basic Healthcare Provisions Fund (BHCPF). With series of events set in motion, the National Assembly earmarked in the 2018 budget one per cent of the consolidated revenue fund, which is N57.15 billion for funding the BHCPF. Funding the BHCPF would mean that each primary health centres across the country will become functional and operational; giving room to at least 2000 vulnerable Nigerians in each of the 774 local government areas in the country to access better care. But as typical of the Nigerian government, it has become lethargic to the very laudable policy promise it made to the Nigerian people, such that with just few days to the end of 2018, no funds have been released for the implementation of the BHCPF. The government has perhaps turned a blind eye at the point of providing the needed fund to enable it achieve its desired intent. This is an event that almost boosted healthcare positively in 2018, but the reverse became the case. If there is one head of parastatal that has had a running battle with his people in President Muhammadu Buhari’s government, it is Prof. Usman Yusuf, the former Executive Secretary of the National Health Insurance Scheme (NHIS). 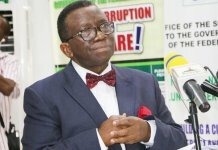 His reign was full of accusations and counter accusations, which sometime last year led to his suspension by the Minister of Health, Prof. Isaac Adewole on issues bothering on corruption and nepotism. 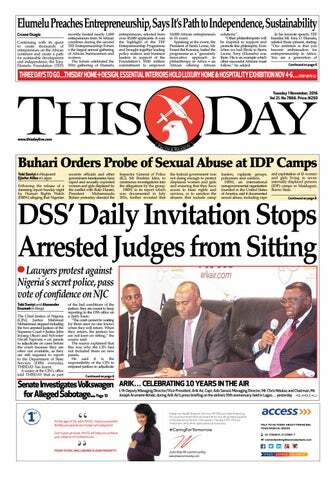 But the suspension didn’t go down well with Buhari who was on medical leave abroad at the time Yusuf was suspended. By February, he was reinstated against the recommendations of the Ministry of Health, which led to outcries from healthcare stakeholders, opposition parties and some staff of the scheme. 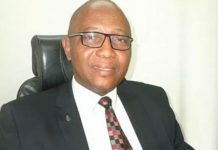 Two months ago, the NHIS Council again suspended him for refusing to carry out decisions of the board, as well as corruption allegation leveled against him. This again turned into verbal fisticuff between his supporters and those against him. Earlier last month, Buhari finally sent him on an administrative leave, which has now presumably put to rest his reign in NHIS. During these times, the scheme did not grow beyond its four per cent mark. Feelers say the scheme is even worse off now than in its 12 year history. Nigeria till date has one of the worst health insurance scheme, having grown the scheme to only four per cent since the past 12 years when it was established. Ghana established its scheme at about the same time Nigeria did, and it has grown to 45 per cent, while the one established by the supposed giant of Africa still crawls at four per cent. A documentary by the British Broadcasting Corporation (BBC) in May this year was what the Nigerian government needed to take action on the level of abuse of codeine, tramadol and their allied substances by millions of Nigerian teenagers and youths, hence its temporary ban on codeine. The health ministry announced the ban on production and importation of the substance, while it recalled 2.4 million bottles of the cough syrup already in circulation. Adewole who had set up a 22-man committee to address the worrisome menace of codeine abuse in the country, had said that with more people, especially young Nigerians getting increasingly hooked to the cough syrup, there was need for stringent measures for its control. Just a month after the ban on codeine, media reports suggests some importers had resorted to smuggling tramadol into the country, as the market for substance abuse continue to grow in large scale. Afterwards, the federal government lifted the ban on codeine syrup, but said it would put stringent measures in place to tackle the menace. But has the worrisome practice stopped or reduced in the country? Despite several depressing stories that have come out of the Nigerian health sector this year, the Nigerian government was able to pull off the establishment of the Nigerian Centre for Disease Control (NCDC) through the signing of a bill for an Act to establish it. NCDC from inception has been saddled with the responsibility of championing preparedness, detection and response to outbreaks of infectious diseases. The new Act which will establish NCDC as a full-fledged parastatal will also ensure that its valuable work is sustained and supported. Meanwhile, Nigeria has experienced several disease outbreaks ranging from yellow fever, Lassa fever, cholera, meningitis, measles and the likes. There was nothing as depressing as the killing of a humanitarian health worker, Saifura Ahmed by the Islamic State West Africa Province (ISWAP), a faction of Boko Haram. The victim, along with two others was abducted during a raid on the military facility in Rann, Borno State on March 1, an attack that led to the killing of four soldiers, policemen and other humanitarian workers. In a video seen by THISDAY, the deceased was wearing a white Hijab and was shot from behind. The insurgents claimed they contacted government over the captive but did not get any response. Ms Ahmed was a staff of the International Committee of the Red Cross. Ahmed is not the only health worker that lost her life to the dreaded group this year, tens of nurses and doctors have had their lives cut short by Boko Haram during the course of carrying out humanitarian services to vulnerable Nigerians in the Northeast. In March a UNICEF doctor and three aid workers were killed, along with several soldiers in Rann. It is almost an unwritten law in the health sector constitution that either doctors or other health workers must go on strike each year in Nigeria as part of an expanded ritual to assert their dominance over each other or to make their demands heard by the government. This year wasn’t any different. The Joint Health Sector Union (JOHESU) on April 17 embarked on an indefinite strike which pitched the health ministry against the union and paralysed the health sector. In between the two months it lasted, the country lost many patients who perhaps today would have been looking forward to celebrate the New Year. The federal government, healthcare stakeholders, doctors and health workers have in this 21st century have not found the right model to addressing issues around strike actions in the health sector. While lessons can be learnt from the major events that shaped the year, what are the fantastic breakthroughs made in the course of the past 12 months? How many breakthroughs were recorded in the sector, where are the researches, where are the vaccines to stop malaria, Lassa fever and other indigenous diseases, where are the 10,000 revitalised PHCs the minister of health talked about, where is the N57.15 billion the National Assembly earmarked for BHCPF, where is the implementation of the NHA the presidency and Ministry of Health talked about? Where are the radiotherapy machines? 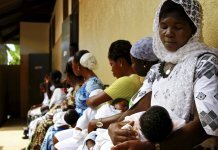 Has our indices on maternal and child mortality reduced? Has mortality rate for cancer, sickle cell, tuberculosis, pneumonia, diarrhea, cholera reduced? Did doctors and health workers refuse to go on strike this year? These are events that could have shaped the health sector for good in 2018 if they were actualised. Can we really say progress has been made in the health sector this year? You be the judge!